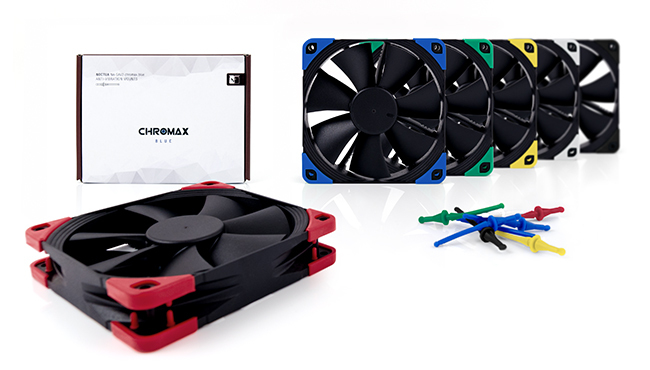 Maximising colour choices, Noctua’s chromax line gives users the option to colour-customise their fans and CPU coolers in order to create PC builds with specific, focused aesthetics. It ranges from chromax editions of the signature NF-A15, NF-A14, NF-F12 and NF-S12A fans over add-on heatsink covers for popular coolers such as the NH-D15(S) and NH-U12S to coloured cables, anti-vibration pads and anti-vibration mounts. Enabling users to colour-coordinate their cooling solutions with other components and popular build themes such as all black, black & white or black & red, Noctua’s chromax line is the perfect choice for all those who value clean, neat looks just as much as class-leading quality and performance.